Scroll down for more testiominals about Michael Gaeta's course. Autoimmune conditions, which now include at least 155 diseases, are one of the most rapidly-growing category of conditions, affecting some 50 million Americans. In this seminar, you will learn the specific causes of autoimmune disease, and natural approaches to preventing this rapidly-growing group of conditions at their source. You will also learn how to support patients with these conditions using natural medicine, including protomorphogens. A protomorphogen (PMG) is the blueprint for each cell in the body. It is the nucleoprotein/mineral complex that each cell produces to regulate its own function and replication. Discovered in the 1940s, protomorphogens have been used by thousands of clinicians for decades to assist people in promoting cellular health, preventing degenerative disease, and helping correct autoimmune conditions. PMGs can augment the clinical success of practitioners of all disciplines, as hey can be easily incorported into any healthcare setting. This seminar will present the history, theory and clinical application of this safe, health-promoting therapy. Dr Michael Gaeta is a visionary educator, clinician and writer in the field of natural healthcare. He holds licenses in acupuncture, dietetics-nutrition and massage therapy, and is a doctor of acupuncture in Rhode Island. Michael earned his master’s degree in acupuncture from the New York College of Health Professions, where he was a faculty member for ten years. Michael is a Certified Instructor of the American Organization for Bodywork Therapies of Asia. 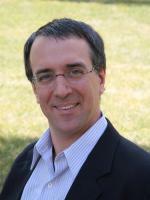 Michael’s teaching is informed by 22 years of successful clinical practice. In his New York and Colorado clinics, he combines acupuncture, nutrition, herbal medicine and bodywork therapy to help people heal, grow and evolve. He is co-founder of Acupuncture for Veterans, providing free treatments in New York City to US veterans. Michael is past president of the Acupuncture Society of New York, earning awards for State Association President of the Year and State Association of the Year. He has appeared on the CBS Early Show and NBC News, and presents seminars nationally on nutrition, herbal therapy, business success, medical ethics and Chinese medicine. He has trained thousands of clinicians in his Success with Natural MedicineTM clinical seminars since January 2001, and his Love, Serve & Succeed® business seminars since 1996. In three years his wellness radio show on Contact Talk Radio has attracted over 60,000 subscribers. Michael is also a pianist and composer. His passion is to give, love and serve through teaching, hands-on therapies and writing. A native of New York City, Michael enjoys life in Colorado with his wife and two children. This was one of the better webinars I have attended! the only thing i would have changed- would be to include more material. we ended with about 2 hours left- and he great information to share that i think wasn't planned- so it seemed a little disconnected. otherwise- i really like his style- and thought he was a great teacher.